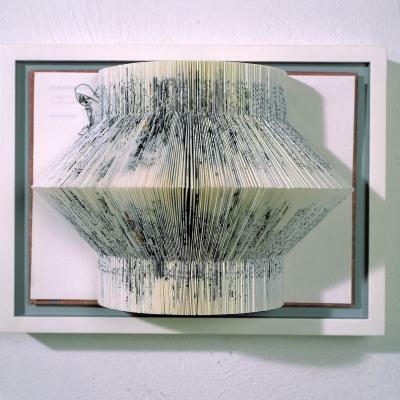 Description: Both volumes of this book were folded in a different fashion by Claudia Steiger and mounted into a white frame. She expresses Wilhelm Busch's immensely popular rhymes, but also their sophistry. Roguish as in his stories the poet's famous softly rolling hat pops through the folded pages.